Blending mid-century styling with functionality, the Milton Task Table and Floor Lamp Range are compact enough to sit within any modern interior. The Milton range is designed in Banbury, and crafted from sturdy powder coated steel which is hand-painted to an antique brass finish becoming a solid design statement. 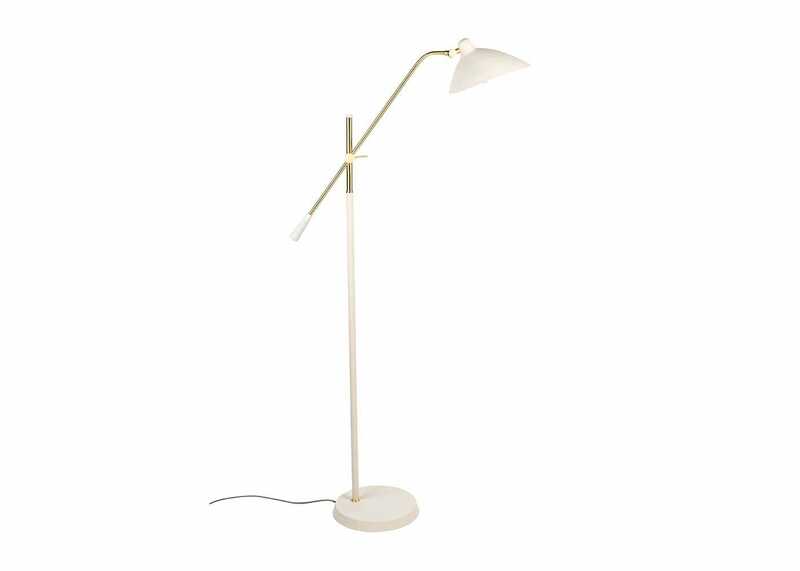 The floor lamp is adjustable via a handle, allowing the user to direct the light perfectly over a sofa, or armchair when reading, or left to illuminate a room when at full height. Adjustable stem for functional lighting. Direct light as and when you need it. Ideal for positioning over a sofa due to it's flexible form. The brass finish offers a subtle contrast to the lamps matte finish. The matte finish of the floor lamps shade beautifully contrasts the brass stem. 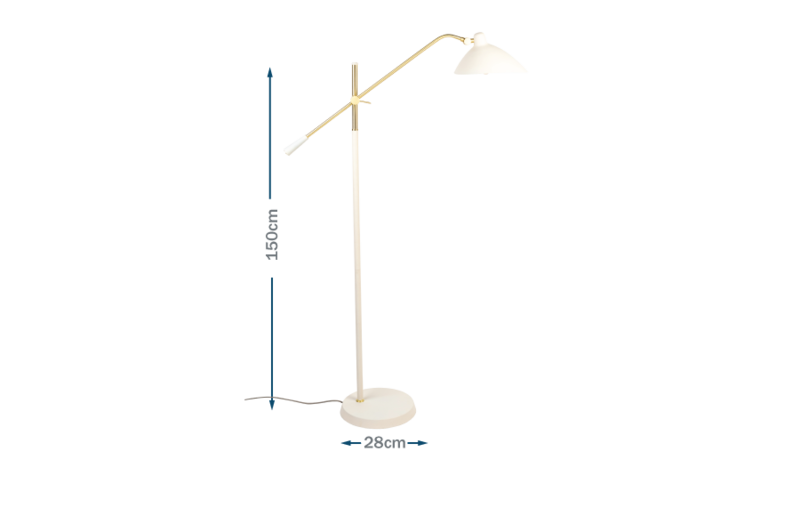 Adjust the light with the brass finished arm which smoothly raises the floor lamps head. The weighted base supports the floor lamp. Flex colour: Black flex on black option, white flex on cream option.